Elderberry, or elder, has been used for centuries to treat wounds, when applied to the skin. 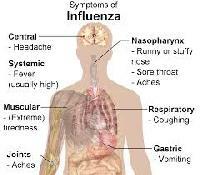 It is also taken by mouth to treat respiratory illnesses such as cold and flu. In many countries, including Germany, elder flower is used to treat colds and flu. Some evidence suggests that chemicals in elder flower and berries may help reduce swelling in mucous membranes, such as the sinuses, and help relieve nasal congestion. Elder may have antiinflammatory, antiviral, and anticancer properties. 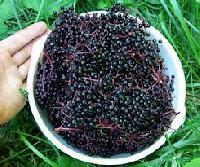 Elderberry anthocyanins protect the inner layer of blood vessels from oxidative stress. The inner membrane of the blood vessels are called the endothelium. This study and others have shown that the epithelial cells absorb anthocyanins into their membrane, which gives them a strong protection from inflammatory stressors. This effect improves circulation and reduces the risk of heart disease and stroke. Elderberry Syrup is very high in Vitamin A and C and bioflavinoids, and may be taken as a prophylactic against winter colds. Elderberries have been used for their medicinal benefits for thousands of years throughout North America, Europe, Western Asia and North Africa. In the Middle Ages, it was considered a Holy Tree due to its ability to improve health and longevity. Elderberries are full of powerful nutrition and have incredible health benefits.